Kent Grand vs Kent Grand Plus [Difference + Review] - Which one to Buy? Both these models are top-selling models and there is hardly any information available comparing the two. 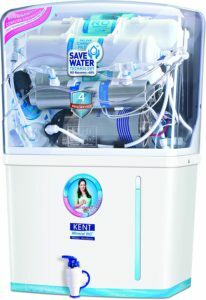 I have hence compiled this article highlighting the differences of Kent Grand vs Kent Grand Plus Water Purifiers. This article will also help you select the right one for your kitchen. Summary – Which one to Buy? You buy kitchen appliances for the long term. You expect them to last your for years to come and serve you and your family well. Keeping this in mind, my recommendation would be to opt for this particular model (Amazon). This model has a few more features, that will surely help you in the longer term. The same product is also available on Flipkart (Click here to compare prices). I will be discussing the differences & pros and cons of both models in detail below. So do read on. The comparison table will help you visualize the differences between the two models clearly. I will also be discussing the impact of those difference in details in the section below the table. As you can clearly see, there are a lot of small features that have been added to the Kent Grant Plus water purifier. The cells marked in green are the ones where Kent Grand Plus is better. While the cells marked in yellow show difference which is not significant to the buyer. Do remember, Kent offers a comprehensive 1-year warranty and a 3 year zero cost service on both the products. This ensures both products are guaranteed to serve you well for years to come. At a glance, both these purify look the same. They have a lot of components which can be interchangeably used between the two. This helps the company cut cost by the efficiency of scale. There are 5 main differences between the two models. Each of them has been discussed in detail below. The Kent Grand operates at a speed of 15 litres/hour, which means it will take 32 minutes to fill up its tank of 8 litres working at its peak efficiency. While the same 8-litre take will only take 24 minutes to fill using Kent Grand plus. This denotes the temperature of the water that the purifier can work with. This may not look like an important factor but trust me it is. If you stay in cities where the outside temperature hits 40°C, you are better off buying the Kent Grant Plus. The water in the tank on your terrace will heat up during the afternoon. If you switch on the purifier during this time, it may damage the product in short/long run. As very evident from the name the Kent Grand Plus comes with a water level indicator. It is very a handy feature as you can easily turn on the machine before the water completely runs out. This helps you save precious time while cooking. This feature denotes the amount of water the product can process in the entire day. If you have a small family 75 Liters (Kent Grand) capacity is more then enough for you. However, if you have a large joint family at home, you may opt for the Kent Grand plus which can process an additional 25 litres of water per day. This system helps keep the membranes of the filter clean by quickly rinsing off the impurities off them. This prevents scaling (scale built up on the filters) and thereby improve the life and efficiency of the water purifier. As per the Kent website, the Kent Grand does not have an autoflush system. While the new model Grand plus comes equipped with the same. This feature alone can the reason for you to opt for the upgraded Kent Grand Plus over the other machine. This brings me to an end of my comparison of Kent Grand vs Kent Grand plus Ro + UV/UF Water purifiers. I hope this article helped you select the right machine for your home. If you have any other major difference apart from the ones I listed above, please do feel free to share the same with your fellow readers of this blog. So which one did you decide to opt for? Do let me know in the comments section below.